Nintendo of Korea has reduced its workforce from 50 employees to just 10, it has been revealed. 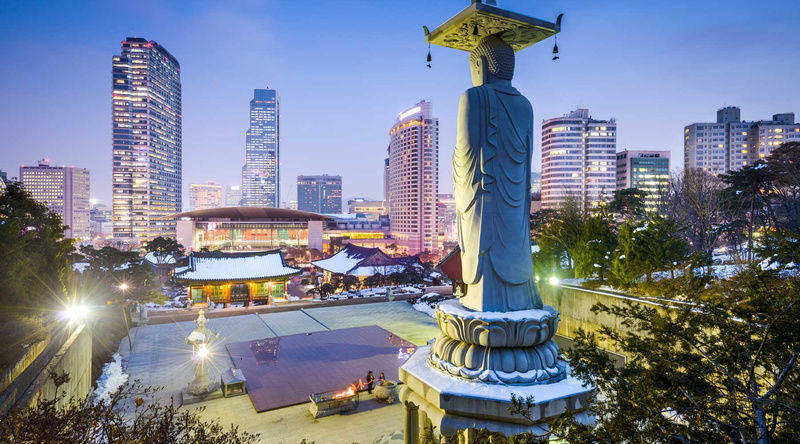 Referred to as "large-scale restructuring", the move will also see the Korean arm relocate to a new office outside of Seoul. Fukuda Hiroyuki will remain in place as CEO. Nintendo of Korea has posted significant losses for the past four years, and this is being cited as a major reason for the move. The Korean release schedule for 2016 includes the likes of Kirby: Planet Robobot, Hyrule Warriors Legends, Fire Emblem Fates, Legend of Zelda Majora's Mask 3D and Pokémon Sun & Moon - most of which will be translated in Korean. korea is the natural habitat of the moba. there really ought to be one for nintendo systems in development by now, hopefully at a western studio as western mobas tend to be the most widely received in asia. hope these guys land on their feet. Feel for those that have lost their jobs. Why the hell do they recruit large number of employees only to shorten the size later on is beyond me. @Socar I really wish I knew. @Socar because you don't predicate staffing with a presumption of future business losses. I live in Korea so I may have a bit of insight. With the Nintendo DS and Wii they were easy to modify. I have seen stores sell new consoles with game chips for the DS along with the seller explaining how to add games and sell modded Wiis with hard drives full of downloaded games. The Koreans like that. The 3DS is much harder to get mods and chips working on it. Also, hand held was delayed for a very long time. The Wii U isn't out here at all and Wii is the only home console from Nintendo on the store shelves. Amiibo is available but they are Japanese and have stickers over the card hiding the Wii U functionality and its existence. Korea also has a history of not liking Japanese products but that has lessened a lot over the years. About Wii U, I mean there is no Korean version of the Wii U. You are able to get Japanese Wii U but you need to go to more specialized stores. Sounds like Korea is a difficult market for Nintendo. With such a volatile industry im sure some will be considering a change of Korea. How does one move in on a market that is soo PC based. Hopefully they have a plan, but it's clear that Wii U is not part of it. Hopefully everyone who was laid off will be able to find some new work. Seems like a weird dynamic to have a CEO for a company of only 10 people, though I'm sure that's the last thing on their minds right now. Best of luck to those laid off as well as those remaining. Most Koreans are either gaming on PC or mobile anyway, even a MOBA from Nintendo won't get them to buy a Ninty console. And even if Nintendo did make one, it'd have to be on the Wii U, which is unpopular everywhere in the world and afaik not available in Korea, or be on the NX, which is still just an unknown. Neither the 3DS nor the New 3DS will be able to handle a MOBA, unless it's a 2D one with SNES level graphics. @mikegamer They're never embedded or linked in this site's articles,but they even have their own Nintendo Directs. @Trikeboy interesting insight, I didn't know any of that before. Isn't Korea not really a fan of Japanese things anyway? Sort of a "we'd rather do it ourselves" kind of thing? Or maybe that was just the auto industry. At least they didn't have to relocate to an office outside of Pyongyang. @Trikeboy sounds like you need to go work for Nintendo of Korea. @gatorboi352 Haha, I wish, though, I really like the city I live in and it's a long trip to Seoul every day, 4 hour round trip. the no Wii U issue is just stupid. Wii was very popular, though, like I said, easily hackable. Though, if they can get me my UK region games cheaper I'd take the job. I wonder what would happen if HQ put NOA on the same standard as NOK. Reggie's flaming pile of garbage would be out on the street. Kyoto must be so ashamed that they hired him; I feel sorry for them. @Trikeboy I don't get it, what do Koreans have against paying for their games? It's not a poor country by any means, they are amongst the top in the world in disposable income. @AVahne A MOBA with 2D SNES level graphics actually, sounds like a cool idea. Awful news. Hopefully they get back on their feet. My best out to those who lost their jobs. 80% heh. We can easily say now that Nintendo Korea is dead (I didn't even know it existed! ).